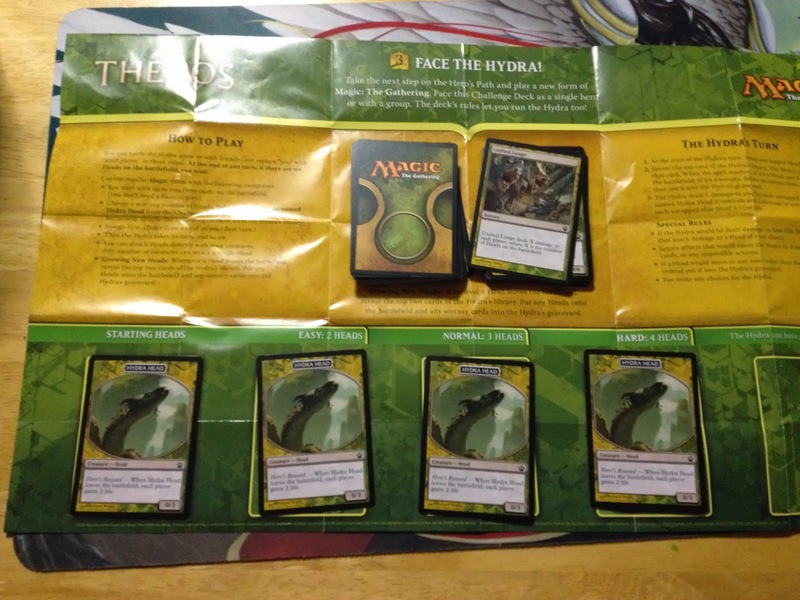 Magic Challenge Deck review…"Face the Hydra"
I was sooo excited to see the Hydra deck for sale last Friday! I snatched that thing up as soon as I could! The Hydra is a challenge. He is hard to beat. The way this works is you get however many heads you want to slay out, and then shuffle his deck. He uses no mana. He gets to play whatever card he draws. 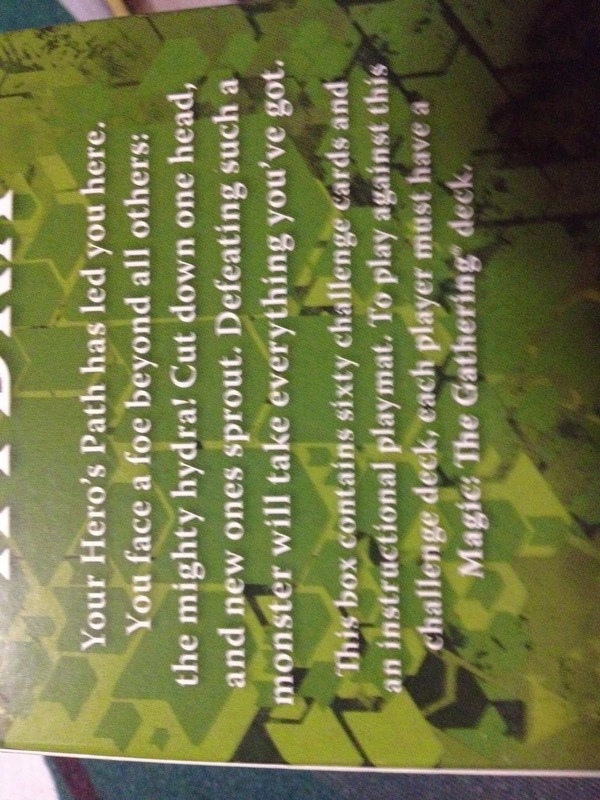 (That is why it is a self running deck.) 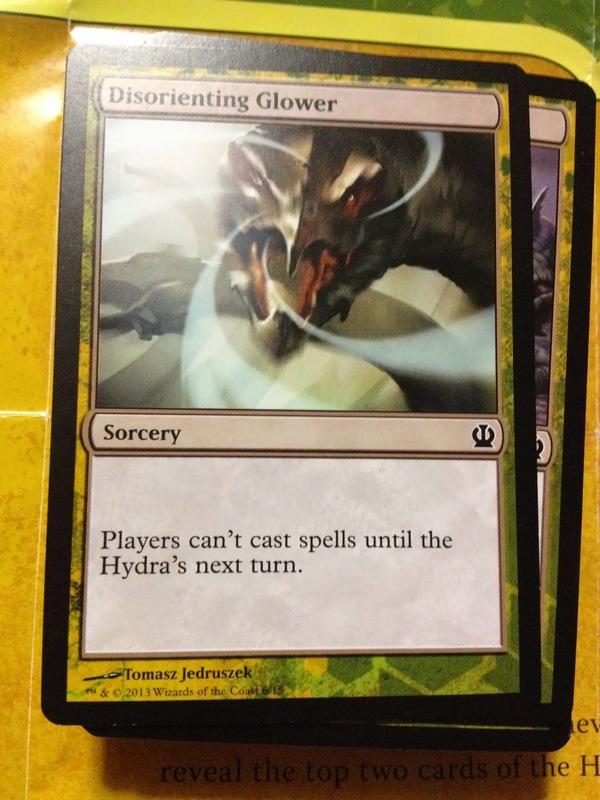 You on the other hand are restricted to the rules of magic, except that discard and mill spells don’t work against the Hydra. 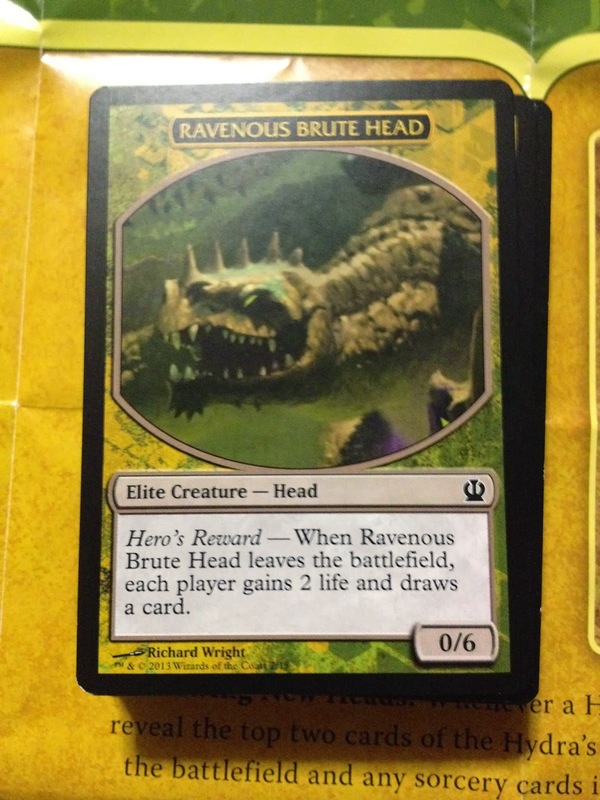 And when you kill a Hydra head, he gets to draw two cards…And if they are Hydra heads, you guessed it…You put them on the battlefield immediately. 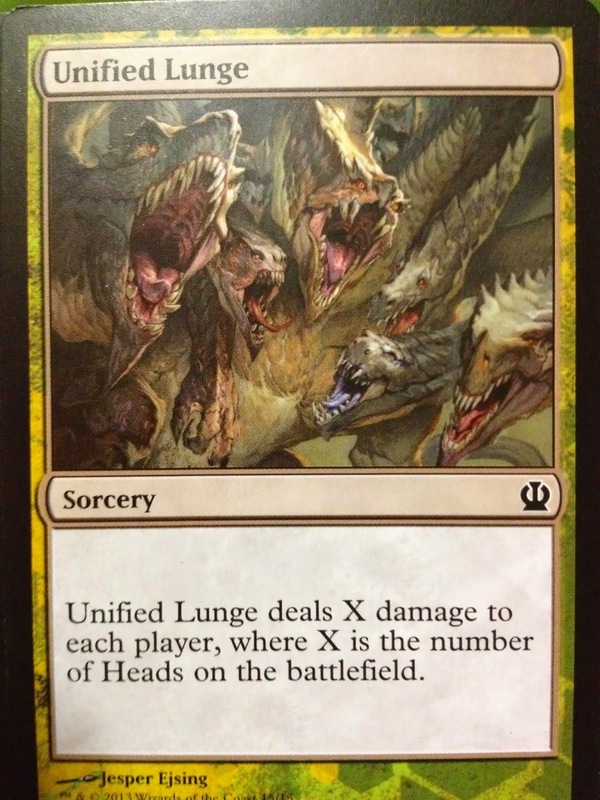 I have played the Hydra with my boys several times…It is a good thing to play Magic a different way…In a teamwork kind of way. And the Hydra deck makes a great game of Magic Solitaire…In fact, this is something Magic has been sorely lacking…Sure there are a few rules for a Solitaire game floating around out there, but those games aren’t that good. The Hydra is a good option if you don’t have a playing opponent. The Challenge Deck is a new kind of deck, and more are promised in the future. That said, I’m not sure how to rate it. I Really Like It! But it COULD have better art, I suppose. 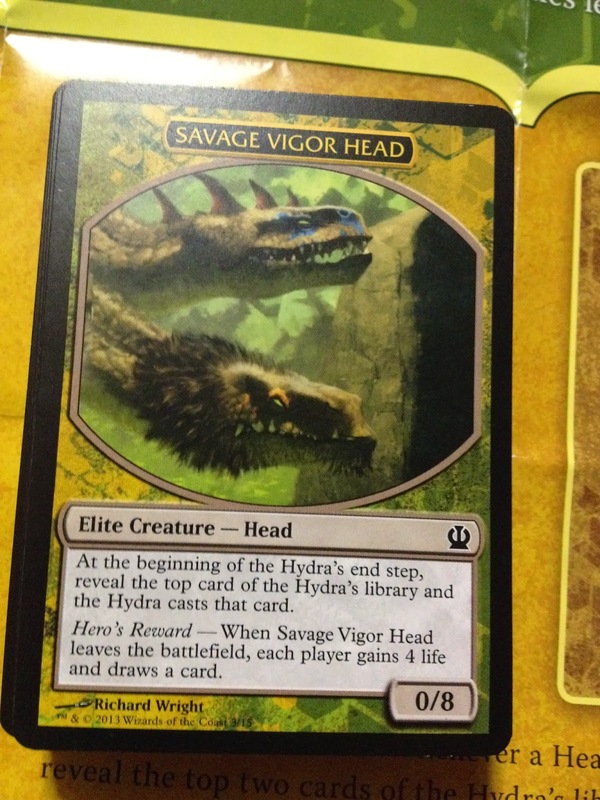 Some of the Hydra heads look kind of “cartoony”. On the other hand, I love the back of the cards…They look cool…It makes me wish that sometimes MTG cards had a different back, but I guess the “deck master” back is a consistent choice that promotes a variety of formats. So I’m going to rate the deck with 4/5. The point was lost for the cartoony heads. 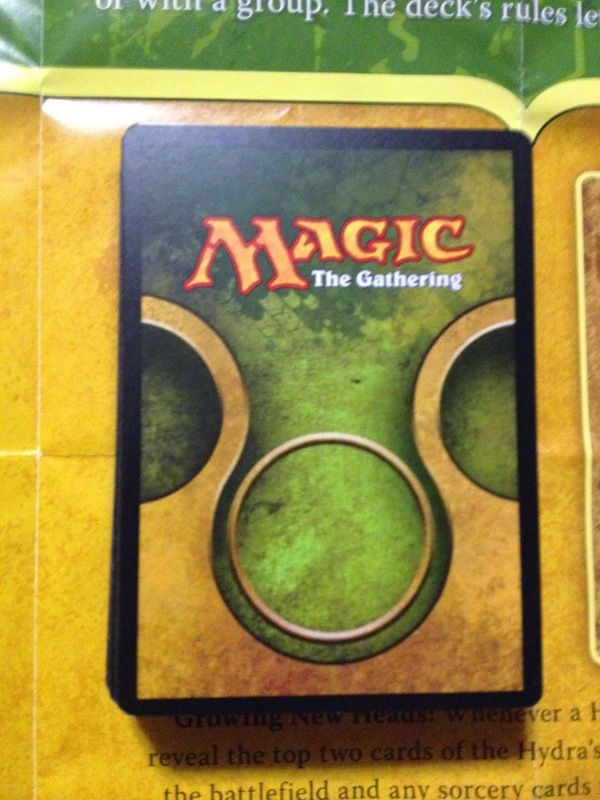 Otherwise, this is an awesome product, and every Magic fan should get one! 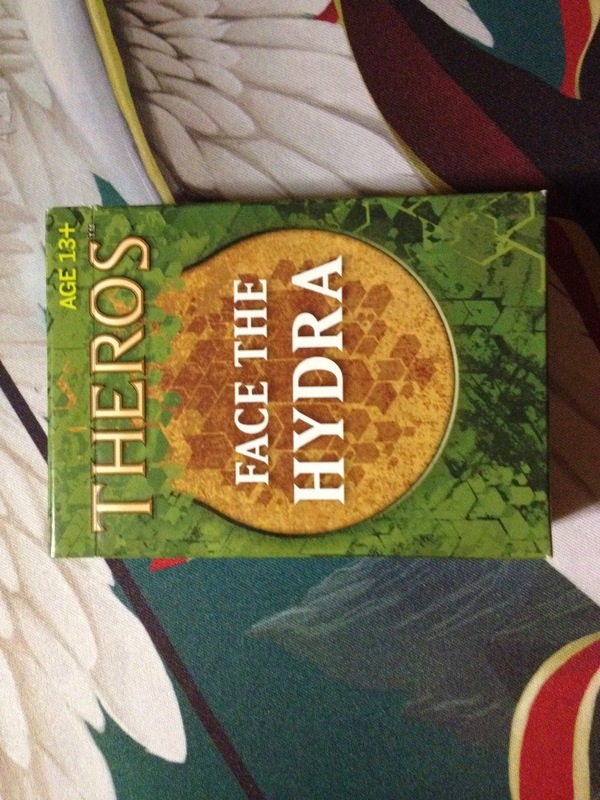 Enjoy pictures of my Hydra deck below! 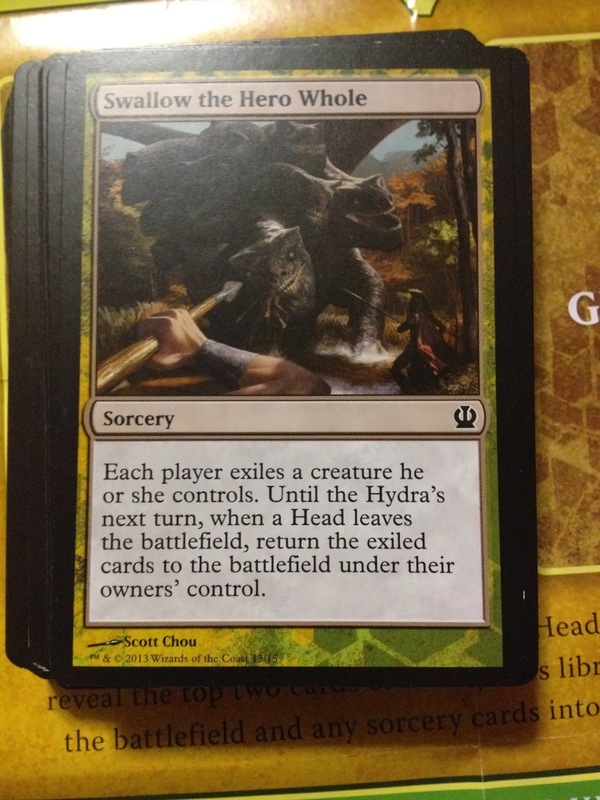 This entry was posted in challenge deck, Face the Hydra, Magic the Gathering, MTG, review. Bookmark the permalink.